Little Toddler Girl With Mother On Christmas Market. 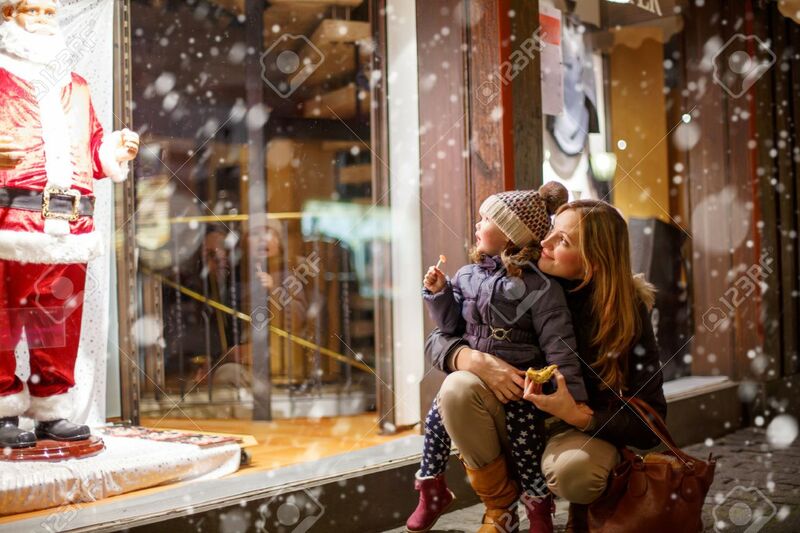 Funny Happy Kid Making Window Shopping With Santa Claus. Holidays, Christmas, Childhood And People Concept. Family During Winter Snowfall Royalty Free Fotografie A Reklamní Fotografie. Image 64888685.